Just couldn’t resist that title *big smile*. I didn’t want the clouds across the top of the card today…wanted to anchor the tag and card overall so the sky is at the bottom of the card. The sky has been die cut into the card and then backed with black card stock, leaving some of the clouds in place. Next the tag was die cut and stamped with the sentiment. A simple bit of ribbon, a button and some hemp twine top it off. The little umbrella has been die cut in black card stock. Next, two of the sections were stamped with the cute houndstooth pattern and popped up on dimensionals. A smattering of sequins and done! Love your card, Lee-Anne! 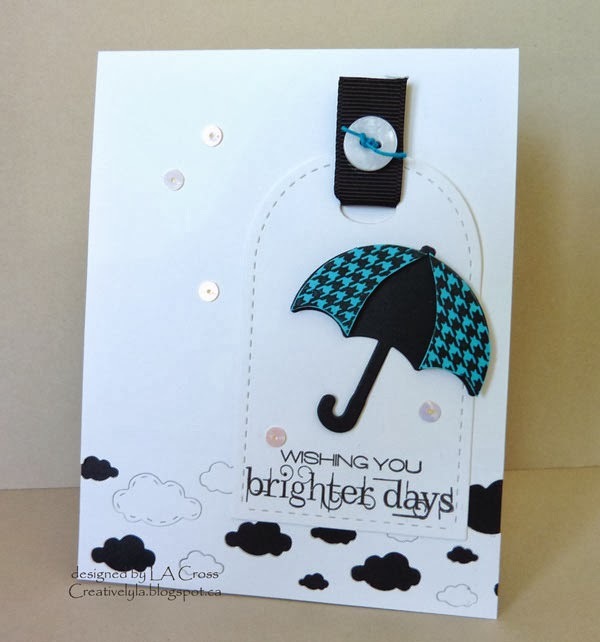 Love the clouds across the bottom and the cute umbrella! 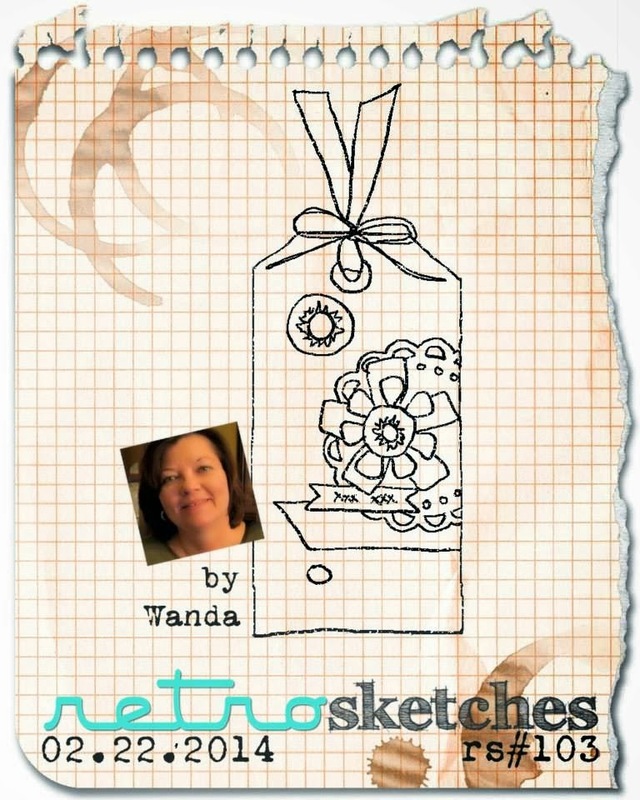 Super creative and fun tag card! Thanks so much for playing along with us at Retrosketches! A really sweet and uplifting card, Lee-Anne! Love your faux stitching too!